I provide individualized coaching for athletes, from World Championship caliber racers to first timers. Training will include not only running, but also strength training and mobility work as needed. I believe that runners need to be well rounded athletes to achieve good health and success. Expect detailed analysis of training logs and workout files as well as a coach who understands the need for balance in all areas of life. I started running on the middle school track team in New Hampshire. I didn’t know then how big a part of my life running would become, I just knew that my dad held the school record for the decathlon and that I wanted to break it! In high school I took up cross country skiing as a way to get in better shape for track season. I went to Colby College in Maine expecting to play soccer and run track, but decided that XC skiing was actually my sport. I raced collegiately for 4 years while getting my degree in Physics and Biochemistry then moved on to earn my Masters degree in Kinesiology: Exercise Science from the University of New Hampshire. While working towards my degree I worked as an assistant coach for the Bowdoin College ski team. I immediately realized that I am a better coach than an athlete and have coached ever since! 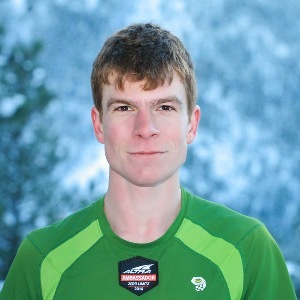 In 2006, I moved to Boulder and started coaching the Boulder Nordic Junior Racing Team and working as an Exercise Physiologist, Running Biomechanist, and Coach at the Boulder Center for Sports Medicine. I’ve run races from ½ Marathons to 100 milers and particularly love the variables associated with Ultradistances. I love spending long days on trails in the mountains, accessing places you can’t get to by car (or bike!). I love to stand on mountaintops and traveling fast and light in the wilderness on my own two feet. Coaching is a 2 way street. I work best with athletes who communicate and are willing to put in the work to improve! Success. Coach Adam St. Pierre has been notified of your message.